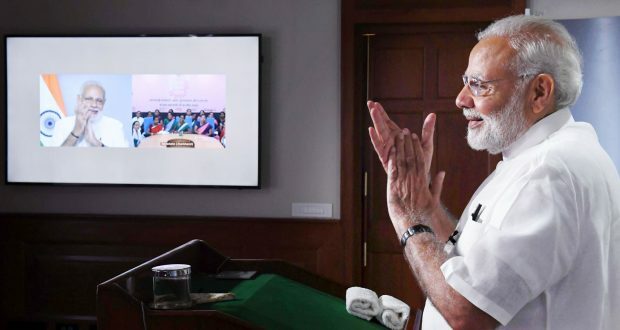 The Prime Minister, Shri Narendra Modi interacting with the ASHA, Anganwadi and ANM workers from all over the country through video conference, in New Delhi on September 11, 2018. Newdelhi:11/9/18:The Prime Minister, Shri Narendra Modi, today announced a landmark increase in remuneration for ASHA and Anganwadi workers. The announcement which will be effective from next month was made during a video bridge interaction with lakhs of ASHA, Anganwadi and ANM workers today.